This is an incredible experiment to watch! Is it possible for an egg to be sucked into a jar opening that is smaller than the egg itself? 1. 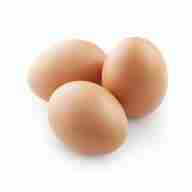 With adult supervision - Boil an egg until it becomes a hard boiled egg. When the egg has had time to cool, crack it and peel off the egg shell. 2. Take a used tapered candle (around 2" in height) and wrap some of the fine wire around the base of the candle leaving a long strand/lead so that the candle can be lowered into the jar and rest standing at the bottom of the jar. 3. Light the candle and carefully lower the candle to rest at the bottom of the jar and leave the wire string draped over the top of the jar. 4. Place the hard boiled egg on the top (mouth) of the jar. 5. Watch and wait to see what happens. An egg is not a solid; it has air pockets like a sponge. By burning the air in the jar you decrease the pressure inside the jar which causes the egg to decrease in size, becoming a solid and allows the egg to slip through the opening of the jar.